The popular MusclePharm product Amino1 gets a shake-up with MusclePharm’s new version, MusclePharm Amino1 Black. In many ways this is the same athletic supplement bodybuilders, runners, and cyclists have come to enjoy in several flavours, but this is better; revamped with more amps. You know those important ingredients that support muscle formation and recovery — amino acids? Hardly anyone in the western world could have gotten away from all the press they have received, especially among people who like to be fit whether for fun or for competition. BCAAs are Branched Chain Amino Acids and they complete important work in the muscles all over a person’s body. They build muscle when someone completes multiple repetitions of a muscle-bearing move day in, day out. They repair and restore sore and injured muscles at the cellular level. You can eat foods that contain BCAAs, but digestion takes its time. If you want an instant dose that gets right to work, athletics experts and trainers recommend an “instantized” formula; one you can mix with water and drink when you need hydration anyway. The original formula provided this service with its mixture of BCAAs, those three essential amino acids, in a ratio of 3:1:2 which favors Leucine. This mixture also contains electrolytes to restore minerals and prevent cramping, dizziness, and fatigue. You lose these as you sweat, something a body builder or runner does copiously, even on cold days. You can tell this is something special by the all-black container, but read the label for this new version closely and compare it with the one for MusclePharm’s original formula. Some subtle changes have been made. While you still get all the BCAAs in the same ratio and amounts plus a restorative dose of electrolytes, MusclePharm also adds some stimulation in the form of taurine and caffeine. Do you feel lethargic half-way through a workout? Could you do with a boost even before you get started? Let MusclePharm help you out with a blend also containing Green Tea Leaf Extract and Ginseng. Amino1 Black by MusclePharm will get you going and keep you going for a long workout every time. They also provide an additional benefit: coconut water. Health experts are learning more and more of the fantastic properties of coconut, one of which is its hydration benefits. Coconut water is even better than water some people say and it’s right here in your supplemental drink mix. The original Amino1 from MusclePharm is flavored. In fact, there are several sugar-free options like Lemon Lime and Watermelon. There are zero calories per serving, which is always good news to those watching their figure closely. Amino1 Black appears to be a flavorless powder, also sugar and calorie-free. They do have flavors though, since I just saw this product at the store, and they were the same flavors options as the original Amino1. Although the benefits are great, it has to be appealing. There are many ways to get your daily dose of BCAAs without gagging on something that tastes terrible, so up the ante and try this edition of MusclePharm’s highly popular powder that mixes instantly without need of a blender; just a shaker cup and a bit of energy. You’ll soon have some to spare. Note: We saw only a limited supply of this SPECIFIC product on Amazon. We will update you if we find more. In the meantime, you may need to buy them at the www.MusclePharm.com site. 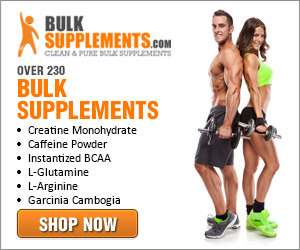 Here is what we DID find on Amazon from MusclePharm: Click Here.